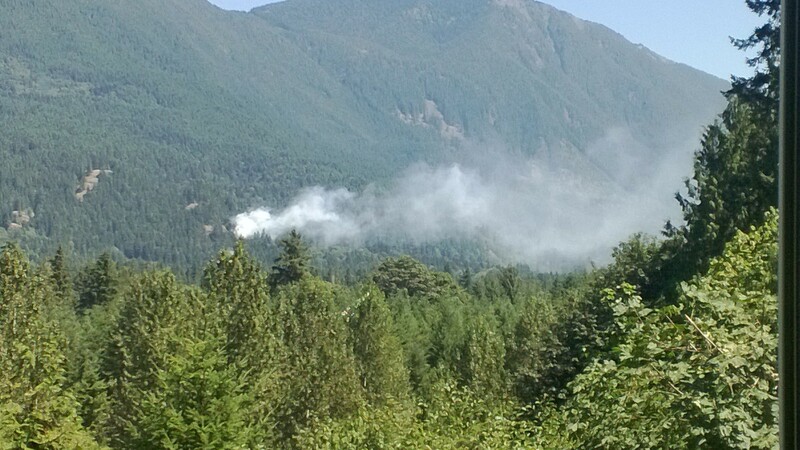 North Bend residents reported a wildfire in the Little Si, Mt Si Road area on Friday, July 26, 2013 . A resident saw flames around 12:10 PM. Sirens were heard in the area. No helicopters were reported on scene as of 1PM. 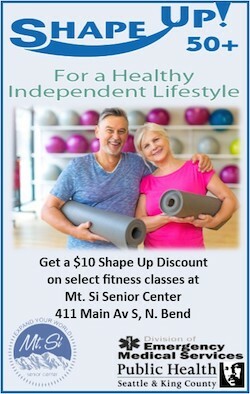 A Washington State Department of Natural Resources (DNR) helicopter from Ellensburg responded to the scene. Residents in the area reported that the helicopter was dropping water as of 3PM. 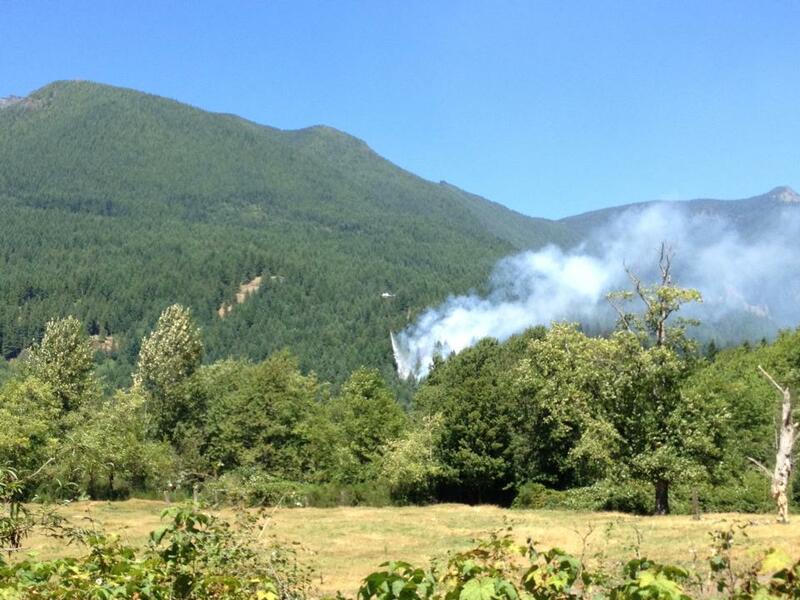 DNR reported that crews from Eastside Fire and Rescue, King County and DNR were able to get a hose line around the two acre fire on steep terrain. According to KOMO News, crews will monitor the fire overnight and then more Washington State Department of Natural Resource crews will mop up it fire. I ran out to the scene this afternoon and spoke briefly with one of the fire officials. He indicated that there were no structures invovled, just trees. There was a pretty good size crowd of people at the Mount Si Bridge watching as the helicopter scooped water out of the river just 50 yards down river from the bridge. I did see some flames but it seemed to be a relatively small fire. 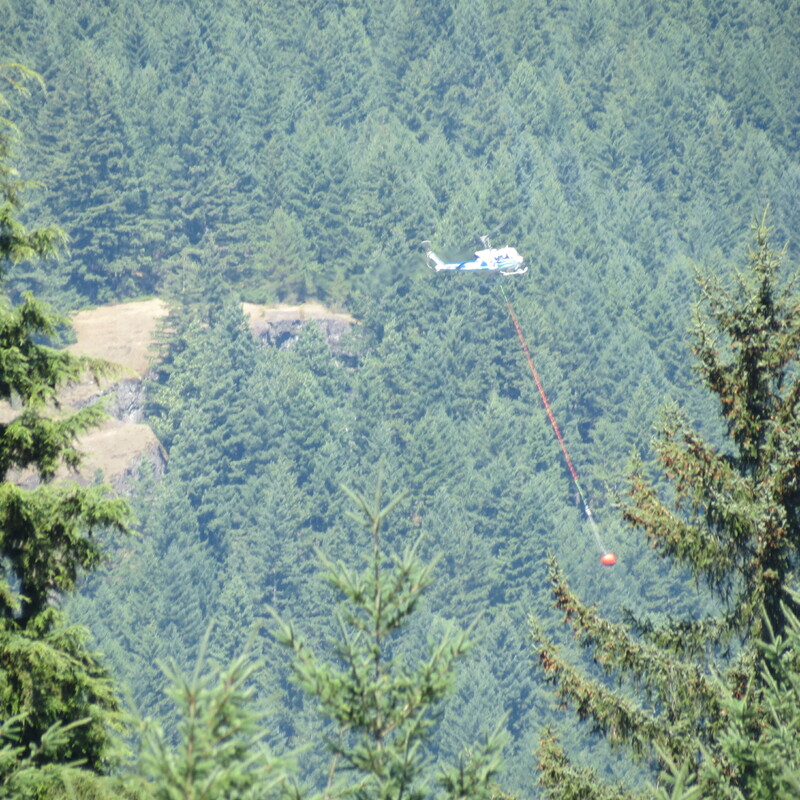 On my way back I saw the helicopter refueling in an empty field on Thrasher/424th in North Bend. I heard a rumor that if the fire spreads anymore they will start evacuating people, hopefully it doesn’t get that bad. But the wind is picking up and it has already grown a lot since last night.